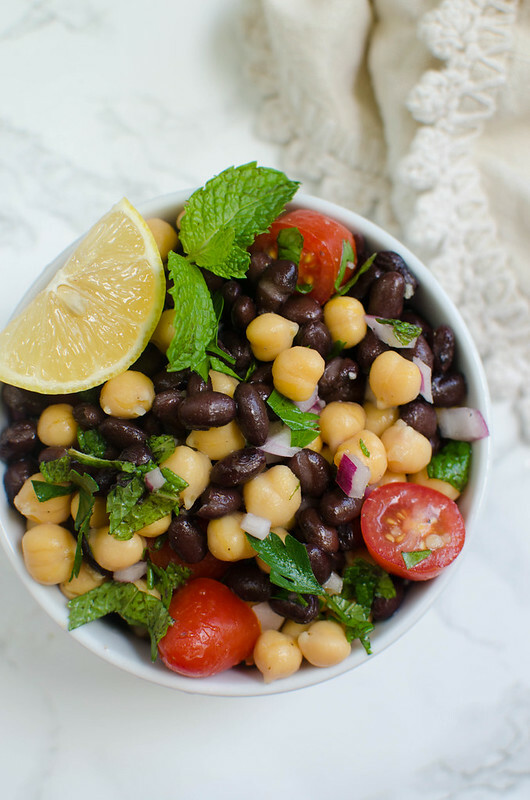 Balela Salad – Trader Joe’s copycat recipe! 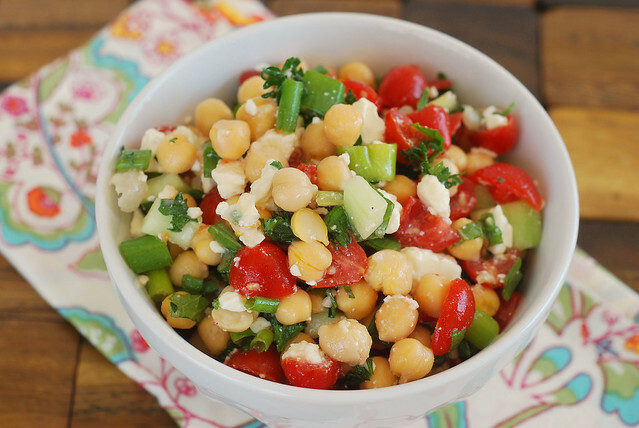 Middle Eastern bean salad with veggies, fresh herbs, and a light citrus dressing. 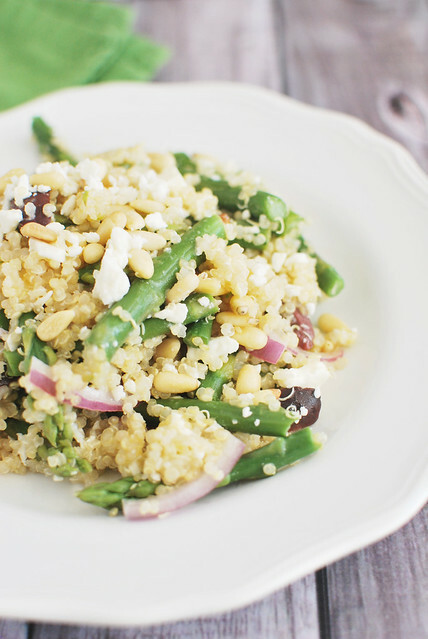 So easy, so delicious, and perfect for meal prep! Happy Monday, guys! Let’s start this week healthy. Because tomorrow I’ve got a cinnamon apple monkey bread and we are going to indulge. Mine was pretty boring. I’m not even sure that I left the house. The highlight was me freaking out for over an hour last night because I lost the memory card that had SIX RECIPES still on it. I had put it in the pocket of my sweatpants and then I started working on some yoga stuff and put it on my nightstand so that I wouldn’t lose it. And yep, went looking for it not long after and it was GONE. Found it in my running shoes an hour later. Still don’t know how it happened but hey, I found it and now we have this Balela Salad to talk about. 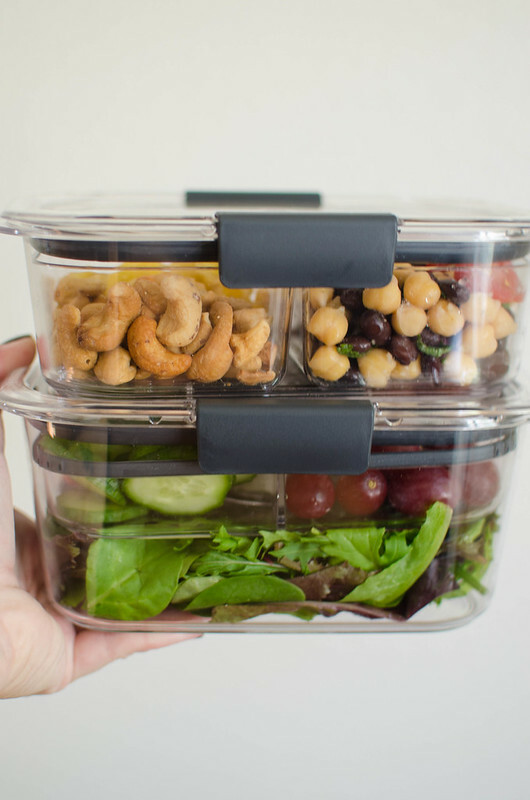 But first, can we talk about these Rubbermaid BRILLIANCE food storage containers?! I’ve been meal prepping for years so I’m constantly looking for perfect, leak-proof food storage containers. The airtight latches are intense. Nothing’s getting in or out. 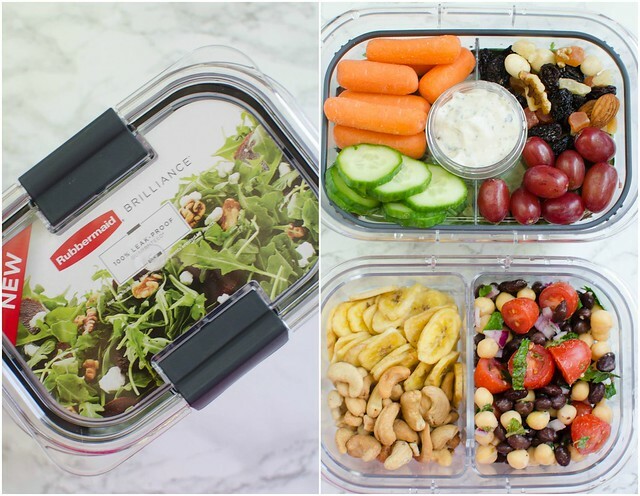 This particular set is the BRILLIANCE Snack & Salad Set and they are 100% leak proof*, BPA free, and the the trays are customizable to fit whatever you wanna take for lunch. They’re made from ultra-durable Tritan material and are stain and odor proof. Plus, they are also microwave, dishwasher, and freezer safe! This set comes with 2 food storage containers – the big container is the salad one. You can put your greens on the bottom tray and then it has a small container on top for your dressing. Plus, 2 sections for toppings that you don’t want to get soggy in your greens or snacks or whatever. And then the 2nd tray has 2 removable inserts so you can either use it as one big tray or separate your snacks like I did in these photos. I’ve got big plans to make a batch of my spaghetti squash bolognese and use these for easy transport. 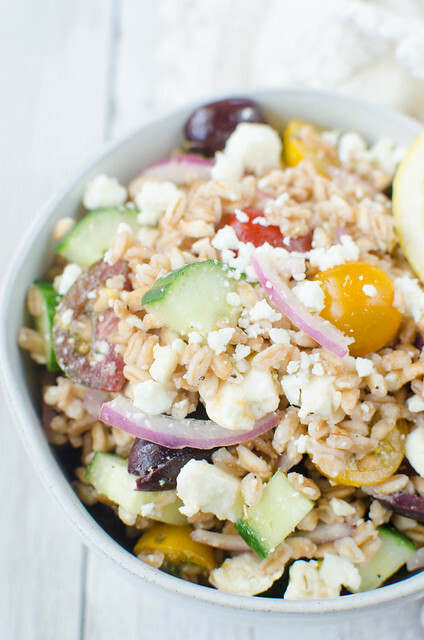 If you want something delicious to make for your lunches this week, you should totally make this Balela Salad. It’s something at Trader Joe’s that I buy every time I’m there and then eat the entire thing as soon as I get home. And since our TJ’s is an hour away, I’ve had to learn to make it myself. 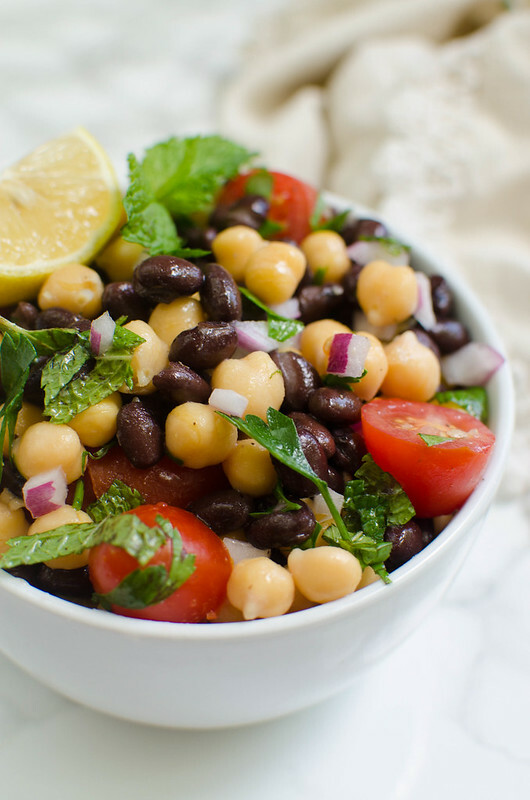 But really, it’s a super simple Middle Eastern chickpea and black bean salad with fresh herbs and tomatoes and a tangy dressing and it’s one of my favorite things on earth. Also? Perfect for meal prepping because it’s the kind of thing that gets better after a couple days in the fridge. I usually put it on a bed of greens and then just skip any sort of salad dressing because it’s that flavorful on it’s own. 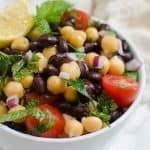 In a large bowl, combine chickpeas, black beans, tomatoes, mint, and parsley. In a small bowl, whisk together olive oil, lemon juice, apple cider vinegar, and garlic. Pour over the chickpea mixture and toss to combine. Season with salt and pepper to taste. 6 Responses to "Balela Salad (Trader Joe’s Copycat)"
I would make a hearty salad with baby spinach, tomatoes, cukes, shredded cheese and baked chicken breast. I would pack lunch for work every day. I would pack a Cobb salad. I would pack a fruit salad for work. I would pack a salad for lunch at work including spinach, tomatoes, cucumbers, and fruit.